Crossrail has announced that 75 per cent of the work was now complete. To understand better just what “75 per cent complete” actually means for the engineers involved, Rail Engineer caught up with Chris Binns, chief engineer for the £14.8 billion project. First, a recap on the project. Crossrail extends from Reading and Heathrow in the west to Abbey Wood and Shenfield in the east, a route that is 118km long. 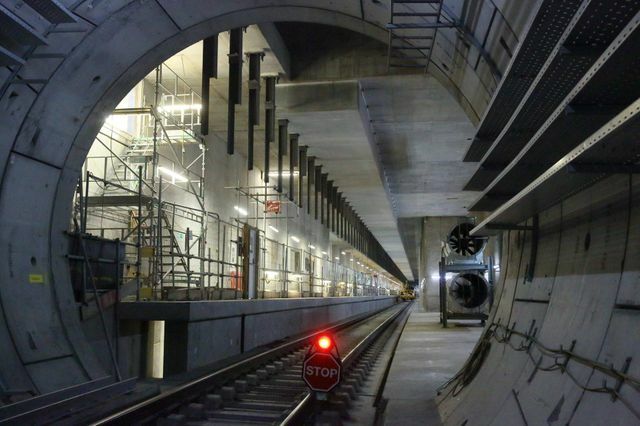 It includes a new central core consisting of 42km of new bored tunnels. There are 40 stations on the route, including 10 new Crossrail stations that are entering their final stages of construction. Some are in very complex locations – Paddington, Bond Street, Whitechapel and Liverpool Street to mention a few. In addition, there are complex, redesigned track layouts both west and east of the capital.